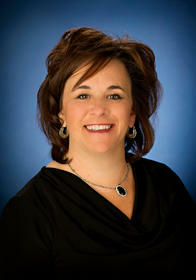 I’m Barbara Bissonnette I’ve been an Allstate agent for 17 years and have studied at St Lawrence College. I’m also Chamber member with Allstate. This wide range of experience has provided me with the knowledge needed to serve my customers with the best quality, care and advice. I’m a proud mother of 3 children and wife who is also pleased to call Cornwall home. I have been an insurance agent in Cornwall over 30 years as well as I speak French and English fluently. As an Allstate agent, employee and neighbour of Cornwall, I’m proud to bring good to life right where I live – supporting and strengthening our communities through sponsored events and charity golf tournaments such as the big brothers and sisters tournament. I have been heavily involved in coaching minor sports in the Cornwall community in the past.